Toxic vaccine adjuvants and ingredient are not emphasized enough in the debate over the safety of vaccines. The medical establishment, which has essentially been wed to Big Pharma ever since its inception by the Rockefellers, routinely downplays the idea that these adjuvants are quite harmful. In reality, many are known carcinogens. Western medicine also tends to makes the excuse that it is a case of "benefit vs. risk", and that the benefit outweighs the risk – but does it really, given the ton of natural alternative remedies and the fact that these adjuvants can get stuck in your body forever? 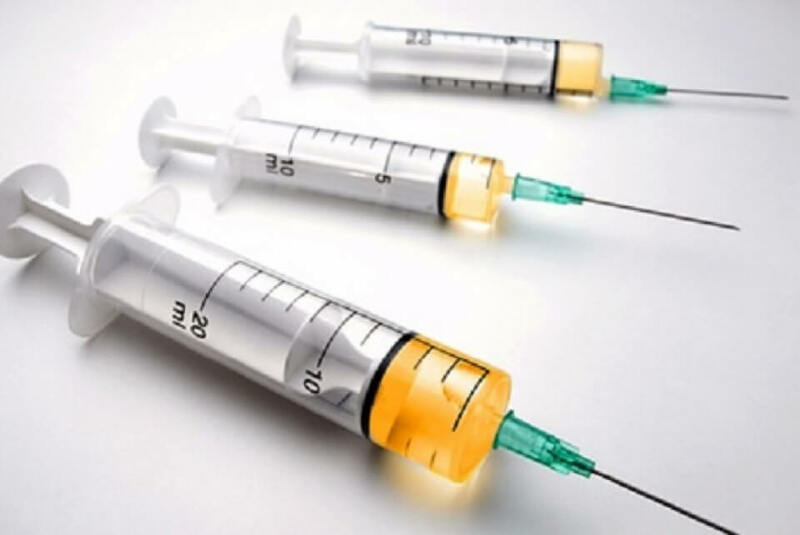 I have listed 1o of the most common toxic vaccine adjuvants below, and after reading about each one, please consider whether you think we can accurately call vaccines "good medicine", given that these 10 adjuvants are being injected directly into the bloodstream (thus bypassing the digestive filters) of every vaccine patient who receives them. Mercury, which constitutes 49.7% of thimerosal (or thiomersal), has been commonly known for a very long time to be a highly toxic agent. Mercury has always been beloved by allopathy ever since its inception; in fact, the 3 main treatments of the early allopaths of the 19th century were bloodletting, surgery and the injection of toxic heavy metals like lead and mercury to purportedly displace disease! The expression "mad as a hatter" comes from the observation that the early hat makers, who used mercury in felt to make hats, became crazy through inhaling the stuff. Aluminum is another metal which, like mercury, is highly harmful for human health. Aluminum is a "light" metal rather than a heavy metal like lead and mercury, but its health effects are devastating nonetheless. As a vaccine adjuvant, aluminum is normally mixed into the vaccine as a salt, e.g. as aluminium phosphate and aluminium hydroxide. Believe it or not, fetal DNA tissue in used in vaccine cultures, disguised under the name of diploid cells. A diploid cell is simply a cell with a double set if chromosomes. These cells are human cells, derived from the tissue of babies or fetuses, some of which are definitely aborted! This has being going on for over 50 years. The article Human Fetal Links with Some Vaccines admits that "Two different strains of human diploid cell cultures made from fetuses have been used extensively for vaccine production for decades. One was developed in the United States in 1961 (called WI-38) and the other in the United Kingdom in 1966 (called MRC-5)." I also recommend watching Clint Richardson&apos;s fantastic documentary "Lethal Injection" where he delves into the issue of aborted diploid cells and offers further research and analysis. New vaccines are now being developed which contain dog cells (e.g. Flucelvax). Additionally, albumin can be human-derived, but it&apos;s still a problem. This study concluded side effects were grossly under-reported, and there are still have concerns over the safety of it. MSG (monosodium glutamate or sodium glutamate) is the sodium salt of the glutamic acid (glutamate), which is one of the amino acids or protein building blocks. Free glutamic acid is a neurotransmitter that your brain, nervous system, eyes, pancreas and other organs need to function and start certain processes in your body. MSG has become notorious for being a hidden ingredient in many foods which creates the illusion of protein or more food being present in what you&apos;re eating – when they&apos;re really not. In 1959, the FDA (Food and Drug Administration) labeled MSG as "Generally Recognized as Safe" (GRAS), yet since then it has acknowledged the existence of an "MSG Symptom Complex" which describes short-term reactions to MSG. These include numerous side effects which people experience after eating MSG, such as numbness, headaches, fatigue, disorientation and heart palpitations. How many people are sensitive to MSG? It has been estimated up to 40%. Dr. Russell Blaylock, a board-certified neurosurgeon and author of "Excitotoxins: The Taste that Kills", has done considerable research on MSG. He calls it an excitotoxin, meaning it overexcites your cells to the point of damage or death, causing brain damage to varying degrees, and potentially triggering or worsening amyotrophic lateral sclerosis (ALS, Lou Gehrig&apos;s disease), Parkinson&apos;s, and Alzheimer&apos;s. All three diseases can develop gradually. Why is MSG being used in vaccines? It&apos;s being used because it is a stabilizer that prevents or slows down oxidation or damage from light. This website claims that MSG is only added to some vaccines: "Glutamate is added as a nutrient to the growth medium for MMR-II and is not in the final product in significant amounts; monosodium glutamate is added to FluMist (0.188 mg/0.2 mL dose); monosodium L-glutamate is added to ProQuad (.4mg), Zostavax (.62mg) and Varivax (.5mg); and potassium glutamate is added to RabAvert (1mg)." A military lab researcher interviewed by Insight was quoted as saying, "We have found soldiers who are not sick that do not have the antibodies, and we found soldiers who never left the United States, but who got shots (administered by the military) who are sick—and they have squalene in their systems. We found people who served overseas in various parts of the desert that are sick who have squalene. And we found people who served in the desert but were civilians who never got the shots, who are not sick and do not have squalene." On top of all the toxic vaccine adjuvants listed above, the GMO (Genetically Modified Organism) issue also pertains to vaccines, because vaccines are now being made with genetically engineered viruses. This goes to show that, sadly, the so-called sacred precautionary principle of science is often thrown to the wind when the potential for massive profit arises. We simply do not know what effect genetically engineered viruses will have on the human body long term. What happens when foreign DNA is inserted into the body? Does it trigger undesirable changes in human cells? Does the human body treat it as foreign and attack it? Does it combine with human DNA, and if so, is the new combined DNA an enhancement or impairment? Will it transfer to future generations? We&apos;re clearly moving into unknown and potentially very dangerous territory by allowing this stuff to be be injected into our bodies. Investigating vaccines fully and deeply is like opening a witch&apos;s "Pandora&apos;s box" brew … who knows what creatures and concoctions are lurking in that syringe?